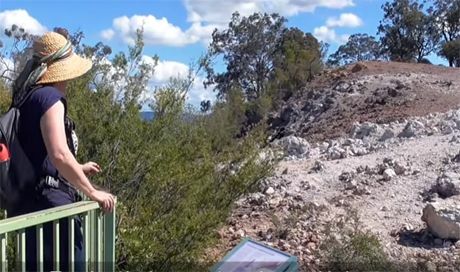 Australia's 'Burning Mountain' has been on fire for 6,000 years (but it isn't a volcano)! Australia’s ‘Burning Mountain’ has been on fire for 6,000 years (but it isn’t a volcano)! 139 miles north of Sydney, Australia lies Mount Wingen, a large hill that’s been smoldering and belching smoke from its summit for thousands of years. Commonly called “Burning Mountain”, Mount Wingen isn’t a volcano as you might expect. The never-ending supply of smoke and ash are actually produced by an underground coal fire that simply will not go out! And guess what? Burning Mountain isn’t the only underground coal fire in existence. In fact, there are thousands of them around the world. The U.S. state of Pennsylvania alone had 38 of them smoldering away as we speak! What’s sets Burning Mountain apart from the rest is the age of the fire. Based upon the available evidence, scientists estimate that Burning Mountain has been on fire for at least 6,000 years! Australia is truly an amazing place, and if I ever get the chance to go there Burning Mountain will definitely be on my list of must-visit places! Here’s a fantastic short video that shows Burning Mountain close-up. Check it out!